Just as Gov. Rick Perry and lawmakers finalize plans to spend $2 billion on water-supply projects around the state, a court decision could force Texas to rethink its water-planning process. Last week, Texas’ 11th Court of Appeals ruled that two regional plans feeding into the 2012 state water plan — a 300-page document that underlies the Legislature’s new water initiatives — contained conflicting recommendations. In the case, Texas Water Development Board v. Ward Timber, the appellate court upheld a lower court’s decision and ruled against the Texas Water Development Board, the architect of the state water plan. The water board could appeal to the Texas Supreme Court. But if the ruling is upheld, the upshot, according to some water experts, is that Texas’ water planning process is now far more open to legal challenges. “There’s a very real opportunity here to create some chaos in the planning process at a time when we really can’t afford much more uncertainty,” said Jason Hill, an attorney with Lloyd Gosselink Rochelle & Townsend. Hill was not involved in the case but followed it closely and represents groups that want to build other reservoirs in Texas. The case revolves around the proposed construction of a huge Northeast Texas reservoir known as Marvin Nichols. The water-hungry Dallas area wants to build the $3.4 billion reservoir in Red River and Titus counties, and a water planning group that includes Dallas recommended including the reservoir in the 2012 state water plan. In 2011 the TWDB adopted the Dallas area’s water plan, reservoir and all, and later folded the reservoir proposal into its state water plan. 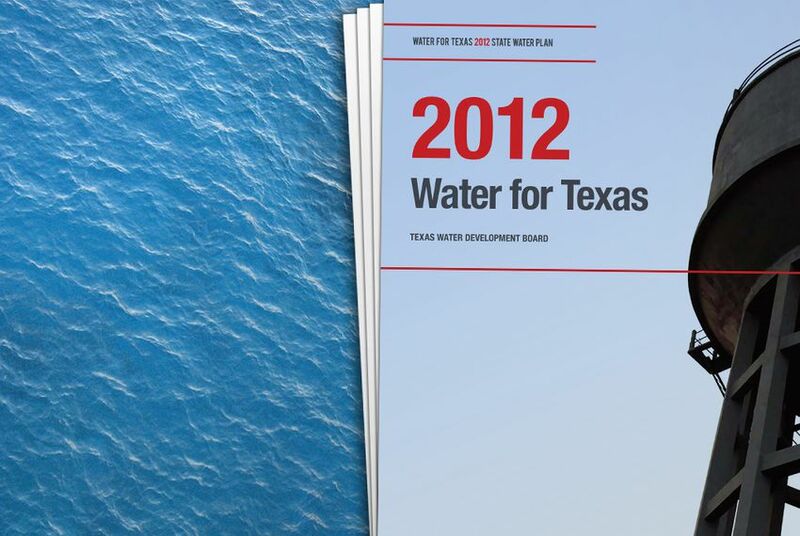 The Texas water plan, published every five years by the TWDB, is essentially a compilation of 16 different regional plans. Projects included in the water plan will be eligible for funding from the $2 billion water fund that the Legislature created this session (but voters must still approve in November). Problems arose because a different water planning group — one that includes Red River and Titus counties — does not want the Marvin Nichols reservoir to be built. Its water plan, also submitted to the TWDB, recommended against constructing the reservoir, citing the harm that would come by flooding the rural landscape. The TWDB also adopted this area’s water plan, including its concerns about the reservoir, in 2011. The 2012 state water plan notes the "opposition to Marvin Nichols" as among the highlights of that region's plan. In 2011, landowners in the path of the proposed reservoir, including Ward Timber, a forestry company, filed a lawsuit saying that the TWDB had approved two regional plans containing conflicting information. The water board, the court said, needs to work with the regions to resolve the conflict before approving their water plans. The water board had argued that it only got involved in conflicts between regions when different regions wanted to draw from the same water source, as opposed to when one region did not want a project built in its area. But the court batted this argument down. It is unclear whether the 2012 state water plan contains other similar conflicts, in which one region does not want another region's project built on its land. But Hill says the ruling could open up the state water planning process for future lawsuits from people who do not water projects on their land. In addition to affecting the current plan, the decision could affect the process for compiling the next water plan, due to be published in 2017, Hill said. Merry Klonower, a spokeswoman for the water board, said that the agency has no comment, since the attorney general’s office is currently reviewing the decision. Lauren Bean, a spokeswoman for the attorney general, said the AG’s office represented the water development board and also had no comment. She noted that the state has until early July to file an appeal. Another follow-up lawsuit is pending that could overturn the entire water plan, according to Rick Lowerre, an attorney with the Austin firm Lowerre, Frederick, Perales, Allmon & Rockwell that represented the landowners in the 11th circuit case. That suit was filed in January 2012 in Travis County District Court, and whether it proceeds depends on the outcome of the current case. It “appeals the entire water plan — basically says the water plan is invalid,” Lowerre said. In theory, that could force the state to rely on the 2007 water plan for its running list of water projects that can be funded, while the 2012 state water plan gets fixed. In effect, the follow-up lawsuit could force the state to redo the water plan, Lowerre said. The ruling last week, by contrast, merely establishes that the water plan contains a conflict between regions. Environmentalists generally oppose reservoir construction, and Ken Kramer, a water expert with the Sierra Club in Texas, welcomed the court’s decision last week. “The [TWDB] was given the directive by the Legislature to resolve interregional conflicts in the water planning process, and the courts are right in saying that the agency needs to live up to that responsibility,” he said in an email. “This will be even more important now as the board is being given new legislative direction on prioritizing water projects for possible state financial assistance."